into small pieces using scissors or a warm knife and fold into the ice cream. If you’re using pistachios, add them in now. Return the ice cream to the freezer and allow to refreeze. Melt the chocolate in a double boiler. Bring the cream, milk and sugar to the boil together, then stir into the melted chocolate. Add the butter to give the sauce a beautiful gloss. 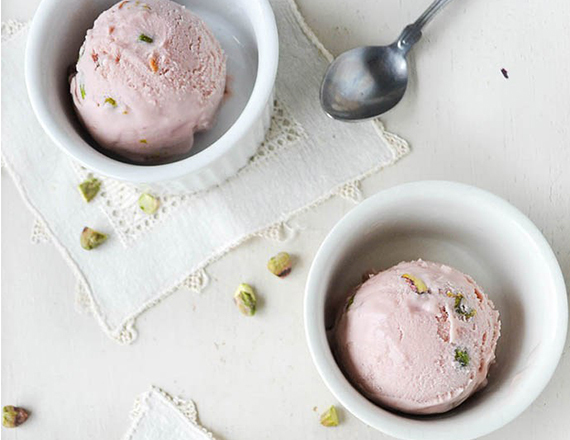 Serve warm in a jug for guests to pour over their ice cream.